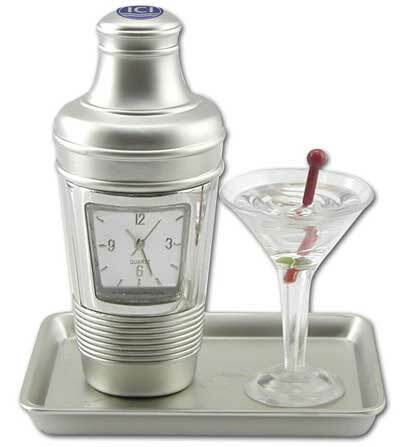 Metal analog Martini Cocktail Bar Tray Miniature replica desk Clock Matt/Shiny with white face and metal arabic numbers. Metal analog Martini Cocktail Bar Tray Miniature replica desk Clock Matt/Shiny with white face and metal arabic numbers. Batteries and Warranty included - 3 1/2" X 3"